"MIRACULOUS" CANDLE RITUALS GIVE YOU CONTROL OF YOUR LIFE - AUTOMATICALLY! Just by burning a candle and saying the words in this book you can have whatever you wish! Here is a candle burning book unlike any other - a book which can be used by Christians, Jews, Muslims, or those of any other faith. A book with instructions so simple that a child can follow: a book which shows how to get fast and powerful results from burning ordinary candles from your super-market. No incenses or exotic, hard-to-get herbs are required for these rituals! No such rituals have ever been this easy, and yet produce such astounding results! Any person you desire can be yours automatically - with these candle burning rituals! You can get all the money you need automatically - with these rituals! You can automatically gain control of an unjust person - with these rituals! You can automatically stop another person's gossip or slander - with these rituals! You can make a lover come back to you automatically - with these rituals! These candle burning rituals take only minutes to perform. They get results because the book shows you the right times and right words for enlisting the help of the Great Benefic Forces of The Cosmos. This is unlike any other such book: because its instructions have been tried and tested over and over again with many people by its authors , the New Age Fellowship! Read how these powerful candle rituals have helped these people: (photo-copies of actual letters available on request). The New Age Fellowship was founded to research and make public candle burning rituals which really work. They found there was a method which made them work; and this method, applied correctly, was unfailing. It doesn't matter how many times before you have lit a candle and got no result. WITH THIS BOOK'S RITUAL YOU WILL NOT FAIL. This book reveals the secrets of past spiritual masters for taking dynamic control of your life! There are no difficult to pronounce words. No special clothing is required. No herbs. No Incenses. No equipment of any kind - only ordinary candles from your local super-market! You will know the very moment you open this book and read the special words that here - at last - are candle rituals that can help you. And you will know immediately your candle is lit that help is on the way! But these special rituals bring more than just 'help' for your problems. They can bring you a life of uninterrupted good fortune and luxury! LET NO-ONE EVER TELL YOU THAT GOD AND HIS SERVANTS WANTED YOU TO BE POOR AND UNHAPPY. With this amazing book you are shown how you can banish bad luck out of your life forever. You will be able to get money whenever you need it - seemingly "miraculously". It is all a question of burning your candle at the right time with the right words. You will BE ASTOUNDED AT THE FAST RESULTS! God moves "in mysterious ways", so the Bible says, and things which once seemed impossible become common place, once you begin using these unique rituals on a regular basis! Just think of it - money whenever you need it. Just think of it - the power to make someone want you. Just think of it - the power to influence people to do what you want. These amazing candle burning rituals give you that power! But how? Spiritual adepts believe that when a candle is lit a light also appears in the Unseen World. And when that candle is lit at the right time, for example, on a Friday if you need money, the Unseen World automatically vibrates to your wishes for money. Then speak the correct words given in this book, and the Unseen World IS READY TO MANIFEST YOUR DESIRE! These amazing candle burning rituals are working for many satisfied people. * A complete change of luck, and a flow of endless blessings. * Winning contests, lotteries, gambling. * To reconcile a broken friendship. * To turn an enemy into a friend. * To save a failing marriage. * To bring peace in the home. * To arouse sexual desire in someone. * Protection from injury and sudden death. * For improved concentration in studies and pass exams. * To remove guilt feelings. * To obtain a job promotion. * To overcome lustful feelings. * To develop psychic powers. * Overcoming feelings of hate. * To get a job. * To overcome a bad habit. * To improve business and get more customers. * To acquire inner peace. * To ease the loss of love. * To develop musical talent. * A miraculous answer to an oppressing situation. * To forget the past. * The wisdom to make the right decision in an important matter. * To overcome an oppressive landlord. * To reverse unfair dismissal. * Overcoming an unyielding enemy. * To influence a powerful person. * To remove a curse. * For a safe air trip. ... and many more, including rituals for health problems, infertility, etc. ALL RITUALS ARE SIMPLE AND EASY TO PERFORM - NOTHING COMPLICATED, AND NO OILS, HERBS OR INCENSES! THIS BOOK IS WORKING "MIRACLES"
P.P. 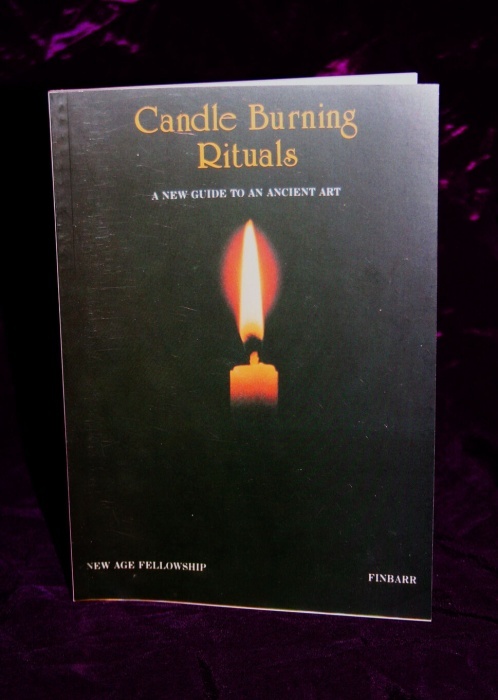 (Richmond) wrote: " I have tried so many candle burning books without success - this is the only one to help me". J.G. (Toronto) wrote: "How can I thank you? I don't know where to begin. I have used your candle ritual every time before going out to play bingo - and have won prizes 4 times out of 5! Used you candle rite for my mother who won $5000 lottery prize!... And just before writing this i've done a ritual for a new auto - I just know it's going to work!... May God bless you!. A.K. (Bristol) wrote: "I have never had my prayers answered so I can't believe my luck. After years of trying to get my songs publishes I received my very first acceptance one week after I got your book! I am astonished!" O.J. (Washington) wrote: " I was sceptical, but after trying the ritual to get my lover back I became a believer! She called me the next day and begged my forgiveness! This stuff works!". These, and many other testimonials demonstrate the amazing results to be obtained from these unique candle burning rituals. FOR WHATEVER YOU NEED OR WANT JUST LIGHT A CANDLE IN ACCORDANCE WITH THIS BOOK'S INSTRUCTIONS AND YOU WILL RECEIVE HELP! GUARANTEED!